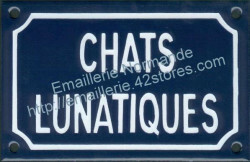 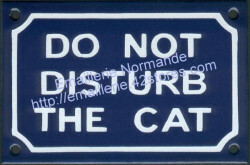 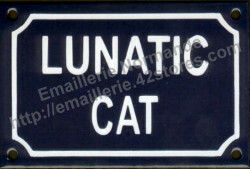 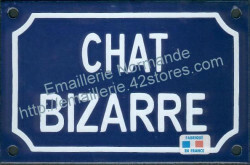 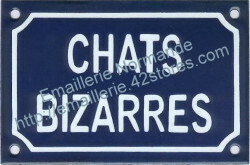 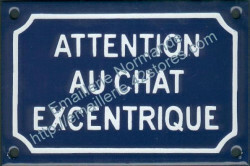 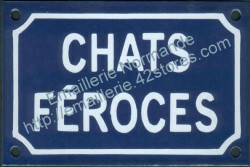 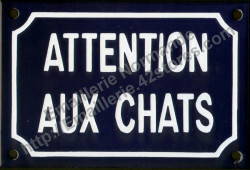 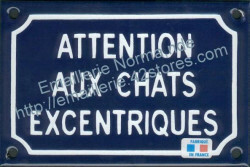 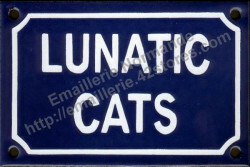 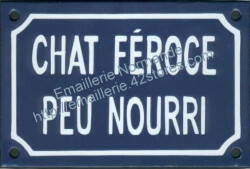 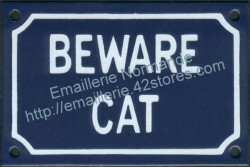 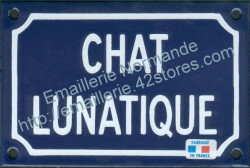 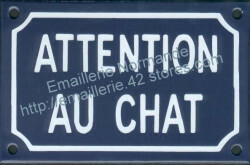 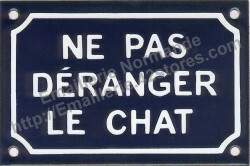 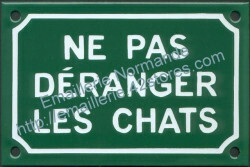 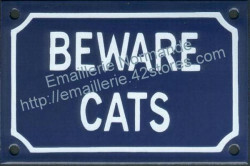 Traditional french enamel steel sign for cats. 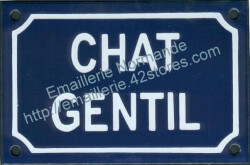 Size : 10x15cm approx. 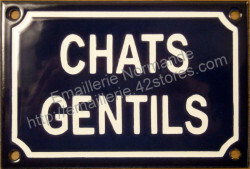 or 10x18cm approx., 4 holes, white text and border. 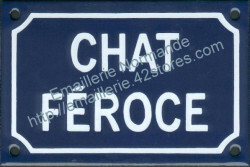 Available colours : blue, green or black background.